You must make reservations at least 5 minutes in advance of the time at The Lexington. Sun-Wed all day free parking is available to guests in the rear parking lot and the parking lot behind the Uptowner Diner. Valet is available Thurs-Sat at the rear entrance for $9 starting at 4pm. Self-parking is also available Thurs-Sat in the lot behind the Uptowner diner for $7 starting at 3pm. Friday Lunch and Brunch parking is always free. The Lexington is more than a restaurant, it’s an institution. Located on the corner of Lexington Parkway and Grand Avenue, this St. Paul community was the most fashionable at the turn of the 19th century. The St. Paul elite lived just blocks away and the first electric trolley brought visitors up and down Grand Avenue. The Lexington opened in 1935, after the end of prohibition, and was a popular neighborhood bar to gather and socialize. Previously operating as a speakeasy, the expansive wood panels were perfect for hiding a little booze and one can only imagine the shenanigans going on beyond the hidden staircase behind the coat check. For decades following, The Lex, as it’s called by locals and enthusiasts alike, was the place to be seen; business dealings, cocktail hours, and milestone celebrations were a regular occurrence for St. Paul socialites. The food was outstanding, though the wait was a little long. However we hardly noticed until we were informed of a delay. It is definitely worth any wait time, I feel. The staff were exceptionally attentive and friendly, especially Rick. Not only was he eager to make sure we had everything we needed, but also provided a lot of fascinating and entertaining history facts about the restaurant. Big thank you to you, Rick, for making my wife's birthday that much more enjoyable while we dined. We will definitely be back! The Lexington is an old fashioned dinning experience with modern service and food quality. We found the prices to be quite reasonable. Sunday brunch was excellent. First of all, I rarely give a bad review. That being said, I was super disappointed with our experience at The Lexington. We were seated right away and the table was fine for our party of 6. We already had a round of drinks from the bar when we were seated. The server came over to our table to tell us about the specials. We put in an order for apps which came out quickly. We placed our dinner orders and my husband and I also ordered a salad. Our food took way too long to be served, we had to ask for the salad, question where the entrees were, and ask for another round of drinks. When the dinners were finally delivered they were room temp at best! The potatoes and mushrooms were actually cold. Our server really didn't check in with us after the dinners were served until it was dessert time. Overall, for the amount of money that our meals cost, the time it took to get our meals ( 2 steak specials, 1 whitefish, 1 pork chop dinner, and 1 salad) and having to flag down the waiter, I would say it was just an okay dinner. Personally, I found the atmosphere to be a tad dark and dreary. We were there to celebrate my birthday. At least the company was great! Don't think we will be returning here. I took my partner there for his birthday. I marked ‘Birthday on the reservation. When the menu came it had his name on it! They took a special picture, framed it and gave it to him to take home. They also gave him an ice cream 🍨 with rainbow 🌈 sprinkles and a candle. The onion rings are phenomenal. Hi ChuckL, thank you for the great review!! We try very hard to make special occasions feel special. I'm so glad we made your partners a memorable one. Please keep us in mind for your next special occasion, casual dinner, rooftop experience or happy hour. Again, thank you for choosing The Lexington! Hello, thank you for your feedback. I sincerely apologize that our food was not served to standard. I would love to invite you back to give us another try. Would you be willing to provide a contact name and number as well as an address? Thank you! Scallops were phenomenal. Excellent service, as usual. Thank you for the five-star review!! My wife and I celebrated our anniversary on Monday evening April 8th, 2019. The restaurant was not busy. Great wait staff. Chefs did a marvelous job. We had fresh oysters on the half shell with a great mignonette. Their "seafood cocktail" was more like a seafood ceviche. We loved this seafood dish and hope it stays on as a regular appetizer, especially when the summer patio opens up. The mushroom "escargot" was not made with snails, but rather button mushrooms and prepared identically as a traditional escargot dish. The main course was shared and included bay scallops. All really well prepared. My wife and I are both sensitive to salted foods, and we could tell minimal salt was used. Great job Lex! Hello Curt, thank you taking the time to write such a great review!! We will continue to offer fresh seafood especially as the weather gets warmer. Unfortunately, the weather isn't cooperating and our rooftop patio opening has been pushed back. However, we expect to open up and be ready soon! This was the worst dining experience we’ve ever had & we go out for dinner at least twice a week. 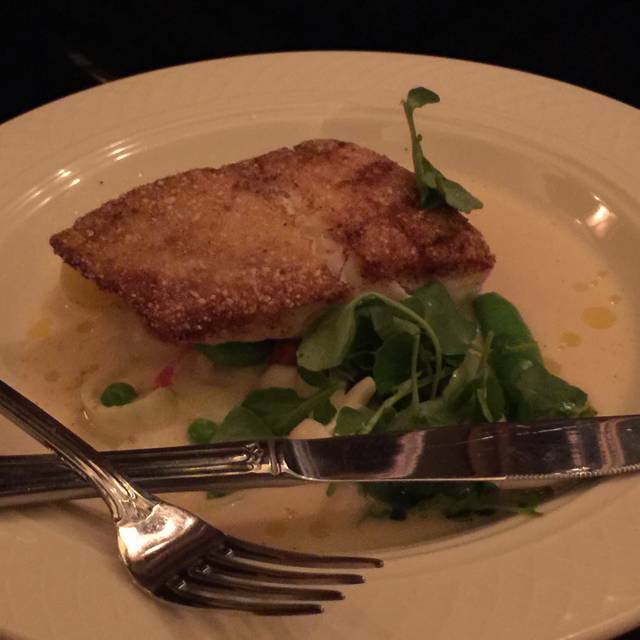 The service was horrendous, the fish that was ordered was way over done & the steak was raw, and it was by far the worst value of any restaurant we’ve eaten at. The only service we received was when we flagged someone down, and our waiter never even gave us a dessert menu until we asked the manager. The expense of this meal was outrageous even though they gave us credit for some of our meal. This was by far the worst dining experience we have aver had bar none. It was nice but for the price I expected better service. Although my meal was excellent their menu was very limited. Hello CynthiaD, thank you for taking the time to provide some feedback. I sincerely apologize for the subpar service you received. Mondays are typically not very busy and there is no excuse for poor service. I will look into what happened that day and will make sure it doesn't happen again. Please consider giving us another chance, feel free to contact me directly for reservations. Thank you! Adam, Director of Operations. Great cocktails and cool atmosphere. The service was impeccable. My salmon was overly salty. It is a great spot for a special occasion. Hi Bowe0160, thank you for the four-star review!! I sincerely apologize for the salmon not being prepared properly. We like to season our food well but there is a fine line between that and overdoing it. I have passed this information on to Chef Jack and we will strive to do better. Thank you for choosing The Lexington and we hope to see you again soon. The Lex today is a wonderful tribute to its former glory! Hi DianeM, thank you for the amazing review! Hi stuartlo, thank you for the five-star review!! Chef Jack very much enjoys checking on guests in the dining room to ensure everyone is enjoying their experience. Thank you for taking the time to give positive feedback! The porterhouse steak for two was cooked correctly and the presentation was superb. The wait staff was attentive without hovering. 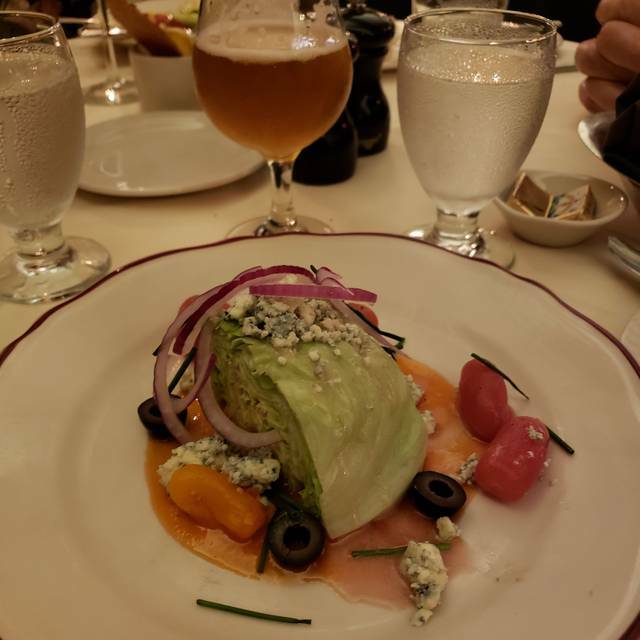 The Lex salad was an unexpected surprise with sweet and savory flavoring. The frozen grasshopper pie was superb! 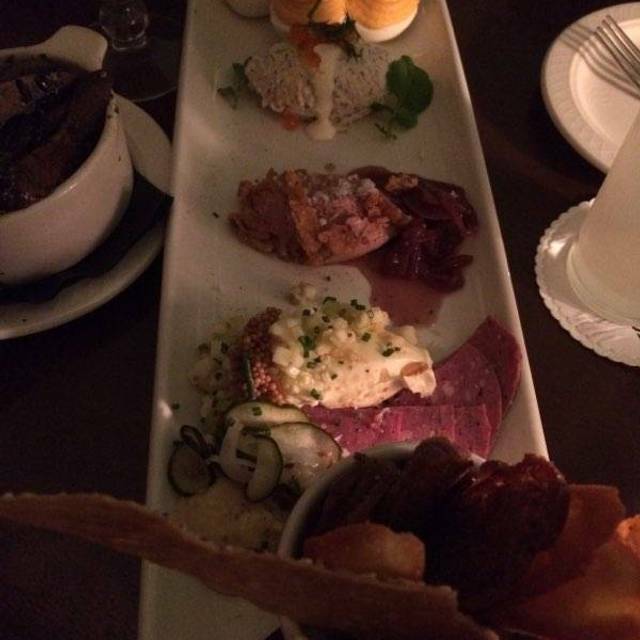 We would highly recommend The Lexington for a special evening out! Hi PaulaB, thank you for the five-star review! The porterhouse for two is definitely my favorite entrée! I'm glad you enjoyed it as well as your Lex salad. Thank you for choosing The Lexington and we look forward to seeing you again soon. The 4 of us all tried different dishes and we were all blown away. Great food, great service. I recommend the Lobster Pasta, especially if you like a little heat. The fish, the steaks, the specials all terrific. Rick was awesome. The night was getting late and I asked him to give us the tour. He didn't disappoint and even took us out back to show us the way to the roof. Of course, he also talked us into dessert (the carrot cake was outstanding). Don't forget to have a Sconnie Ol Fashioned before dinner. Hello Snuffy, thank you for the amazing review!! I truly believe our food is great but what makes us exceptional is our amazing staff. 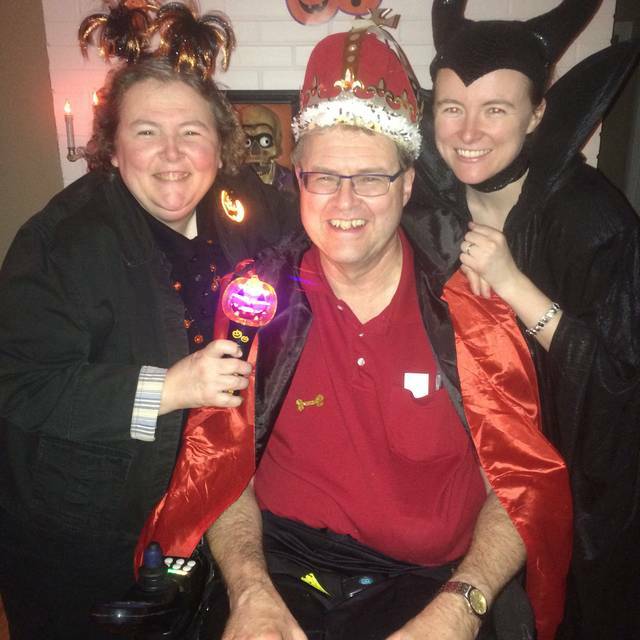 Rick has a way of making your experience memorable and always goes above and beyond. I'm so glad you loved The Lex and we look forward to seeing you again soon. 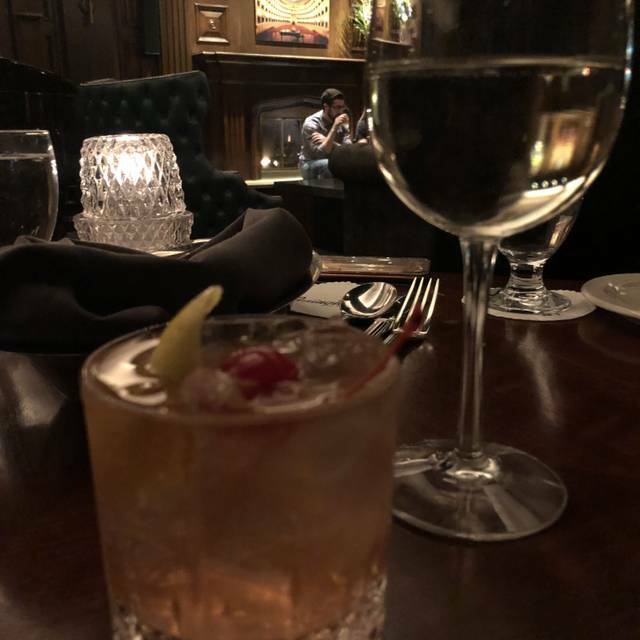 Please feel free to ask for me next time you are in, I would love to treat you to a Sconnie Old Fashioned! Adam, Director of Operations. Overall good experience. 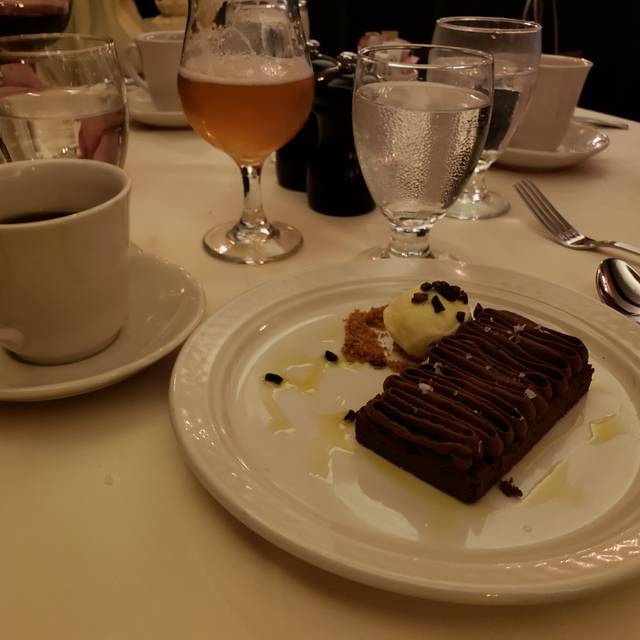 The service did get noticeably slow throughout our dinner and the wait assistance was taking our food away a little fast so then there would be longer periods of sitting there before the waiter would come over again. Hi EHart, thank you for the four-star review! I sincerely apologize for the delay in service. Saturdays are our busiest day of the week and we try to stay on time but unfortunately we sometimes fail. We appreciate your feedback and will use it constructively in order to improve and be better every day. Gorgeous restaurant, impeccable service, outstanding food. Don't wait - make your reservation at The Lexington now! Hi RobynC, thank you for the five-star review! The best advertising is always word of mouth so we truly appreciate you urging others to give us a shot. Thank you again and we hope to see you soon! We couldn’t have been more pleased with our experience at the Lex. Food was amazing and our server Rick was so knowledgeable, helpful, and personable. We’ll defend mutely don’t be there again! Hi CindyH, thank you for the five-star review!! I'm glad you enjoyed having Rick as your server. Please feel free to ask for him the next time you are in. Cheers! The service, food, and the wine are very good, but the noise makes a conversation impossible, sorry. Hello GuerinoM, thank you for taking the time to write a review. I'm glad you enjoyed the wine, food and service but sincerely apologize for the noise level. Do you happen to know what room you were seated in? We have four different dining rooms that offer different experiences. If you decide to give us another opportunity, please note in your reservation that you would prefer a quieter area, preferable the Main Dining Room or Chef's Dining Room. Again, thank you for your feedback. Awesome food and wonderful staff .First time here and we are coming back! Hi ValerieB, thank you for the five-stars!! We are so please we made your first visit a memorable one. We also offer happy hour in the Martini Bar Mon-Fri from 4-6pm, Lunch and Brunch on the weekends and soon we will be opening up the rooftop patio. We look forward to seeing you soon! It had been a while since I had last been at the Lexington, at least a couple of years. The new decor is nice. Outstanding service which had been one of the best features of the Lexington was back. I didn't care for the Lexington salad. I was expecting the old salad and not excited by the half of iceberg lettuce with french dressing. We had the half lobster which was very good. Overall, dinner was very nice and I will likely return again in the not too distant future. Hello Epicurious, thank you for taking the time to write a review. I'm glad you enjoyed your overall experience and plan on returning in the near future. Would it be safe to say that we would have received five-stars had the salad been more to your liking? What could we have done better to receive five-stars? Hi JamesB, thank you for taking the time to write a review. I sincerely apologize the service aspect wasn't up to par. We understand we are not an inexpensive restaurant but we strive to offer only the finest, freshest and best local products available. Nonetheless, the service should be the same caliber as well. We appreciate your feedback and we will use it to improve and get better every day. Thank you. Very disappointing service - took 2 hours for brunch for 4. Would not recommend salmon benedicts; no part of it was good. Their coffee was the only plus. Hello, thank you for your feedback. Would you be willing to provide a contact number so we can discuss further? Thank you. All the staff at The Lexington went out of their way to make my girlfriend's birthday extra special! The food and drinks were great too! Hi Ryan, thank you for the amazing review!! I'm so glad we exceeded your expectations. Thank you for choosing The Lexington for you girlfriend's special day! Hi NatalieR, thank you for your feedback. Would you be willing to provide a contact number so we can talk more about your experience? High quality dining experience. Choice foods, prepared expertly. Excellent service in a relaxed atmosphere with semi formal setting. A bit pricey, but not overpriced for the quality of experience. Hi JakeK, thank you for the five-star review!! I know we are not inexpensive so we truly appreciate you choosing to come here. I'm so glad we made it worth your while. Thanks again! Excellent food and service! Lovely atmosphere. Will be back soon! Hello JamesH, thank you for the five-stars! We look forward to having you back soon. Hi LisaJ, thank you for such an amazing review!! I apologize for you having to pay for the glass of Sauv Blanc that you returned, it should have been taken care of. Please feel free to ask for me the next time you are in, I would love to buy you a glass of the prosecco you liked so much :) Again, thank you for taking the time to respond and we look forward to seeing you again soon. We had a birthday dinner for my husband. The staff all knew it was a birthday, the service was outstanding (our waiter knew how to describe every wine, described the food in culinary detail, and was very attentive), and the food was perfectly put together. A perfect night! I live in Eden Prairie, but this is my favorite restaurant in the area - even though quite a distance to St. Paul. It's so worth the drive. The ambience is tremendous. Love the jazz trio. The food is consistently excellent. Even had an opportunity to meet one of the owners and the very talented and personable chef. The bartenders came up with creative cocktail ideas and were great bantering with. Hi MarkBob, thank you for the amazing review!! We love when people make the trip from Minneapolis and suburbs because we know how difficult the commute can be, so we thank you for that. We truly believe we have assembled a great team, from ownership to the front of the house staff to the kitchen team, so this really means a lot to us. I would love to meet you next time you are in, please ask for me, Adam Moreira Director of Ops. Again, thank you for choosing The Lex! This was my second time at The Lexington. The first was Prom Night, 1970! 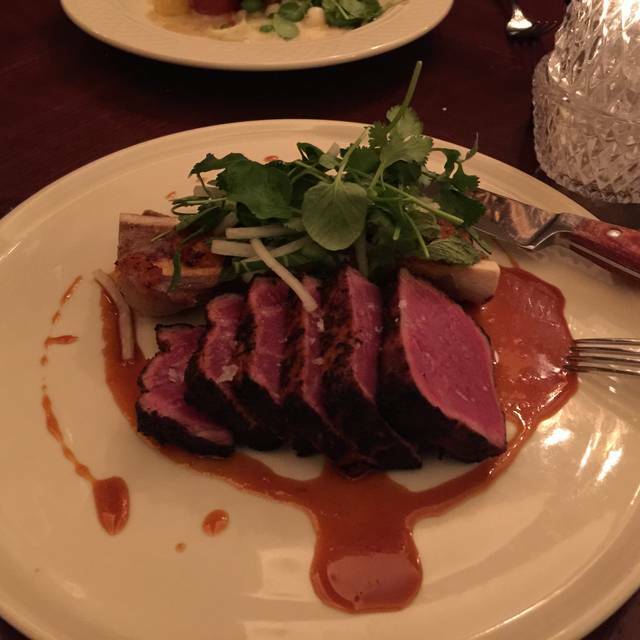 We thoroughly enjoyed our dining experience at the Lexington. The food was delicious! I loved my Steak Diane and side of portabella mushrooms. My friend really enjoyed her ribs. The service was amazing. We enjoyed two cocktails in the bar before dinner, and the bartender bought me a birthday cocktail. Our waiter, Rick, was so helpful and fun. He entertained us as he served dinner and brought me a fantastic chocolate birthday dessert! We will return soon. Hi CruiserK, thank you for taking the time to write a review! How wild was it to be back almost 50 years later!! Part of what makes The Lexington so special is all the memories that people have from so many years. Every day we hear stories about how people celebrated their special occasions here many years ago and we are proud and happy to still be here to continue that legacy. We had a lovely dining experience on Saturday evening. Our server Jeff was attentive, the food was phenomenal and the jazz trio was very enjoyable. The Lexington is one of my favorite neighborhood staples and never disappoints. Hi TrishN, thank you for your five-star review!! Our experience at The Lex was amazing. Food, service, atmosphere; they were all perfect! Will definitely be back and recommend this amazing establishment to others. Hi JoelR, thank you for the five-star review!! The keep the standard of food and service very high. And we love having Daniel as our waiter! We went there for an anniversary dinner and loved it! Exceptional all around! Hi JSCS, thank you for the five-star review!! We understand that you have so many choices when celebrating a special occasion so we really focus on making it special for you. I'm so happy we made your visit memorable. Thank you for choosing The Lexington! We were celebrating my mother’s 101st birthday. Imagine our surprise when we received our menus that had “Happy 101st birthday” printed on them! Server was knowledgeable and especially helpful to my mother. Food outstanding! Excellent experience. Hi SandiB, thank you for the wonderful five-star review!! We are so happy we made your mom's 101st birthday special. Thank you for choosing The Lexington!! This was our first visit since the remodel. The food, service and ambiance were quite nice. The menu offerings included classic supper club fare but also included some wonderful unique items as well. 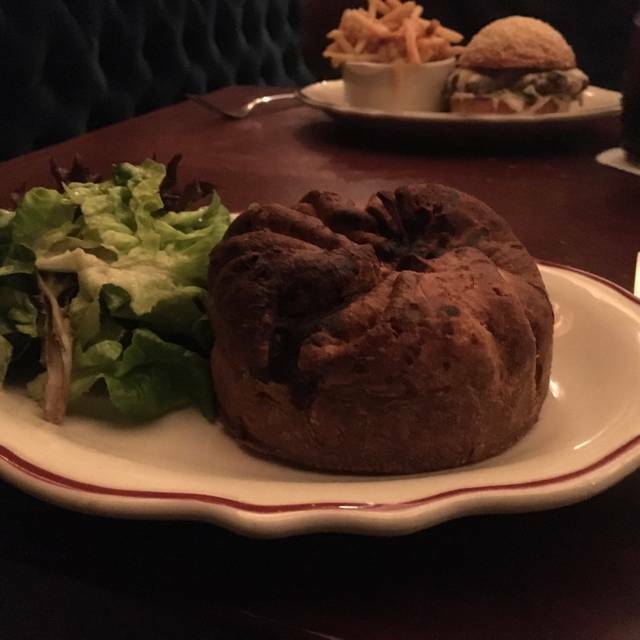 The french onion soup was the best I have ever eaten and instead of nothing but steak, steak, steak there was Pork and other options. I not only would but have already recommended the Lexington to friends. My wife and I almost went back the very next night. Hi MathewM, thank you for the five-star review!! I'm so glad you enjoyed everything from the food to the service to the ambiance. We strive to provide options for everyone and it seems like we hit our mark. Please come see us again soon! What a surprise! New owner/chef! Great menu! Rick took excellent care of us! Our new favorite place! Hi OpenTableFans, thank you for the five-star review! We are very proud and fortunate to have Chef Jack Riebel and such a wonderful team. Rick is a rockstar and knows how to create a wonderful experience for our guests. Thank you again for the love and we hope to see you again soon. The Lexington is a nice, old style restaurant with a calming ambience . The lights are low, the music is familiar and the staff are nice. 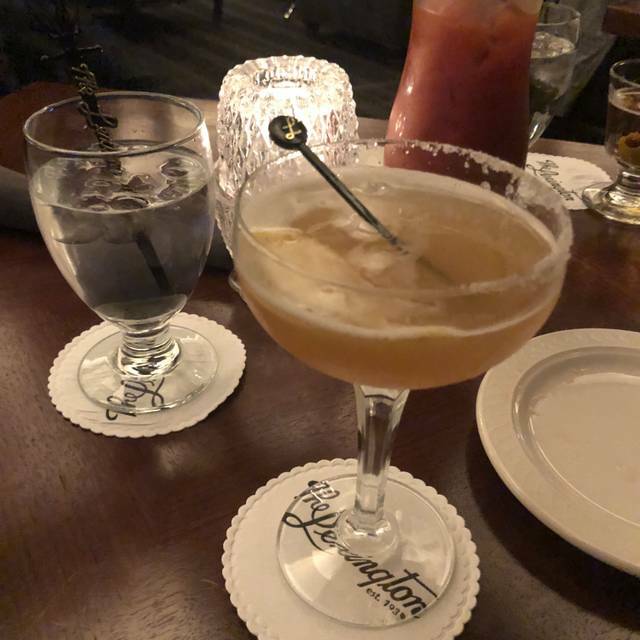 I would recommend the Lexington to anyone looking for a place for a date. It's not cheap but worth it. Be prepared to walk a block or two when parking because the parking behind the restaurant is usually full, however, there are places designated for the restaurant around the block. We went before a concert and they were very respectful of our time and when we had to leave. Overall the experience was nice. Hi DinerDsdish, thank you for the great review! We offer many options for parking, the rear lot, the lot across Lexington Ave. as well as the Eye Clinic after 5:30pm. Valet parking is available Thursday-Saturday starting at 4pm. Thank you for your feedback and we look forward to seeing you again soon!